Your fitness plan should be personalized to, well, you; not you and the twenty people around you. M² tailors each and every personalized fitness program to not only your learning style, but your baseline fitness level, your interests and your bio-mechanical capabilities. Meaning, if you've been injured, we are more than capable of accommodating you. How? Well, just read our founder, Benji's, story and find out. 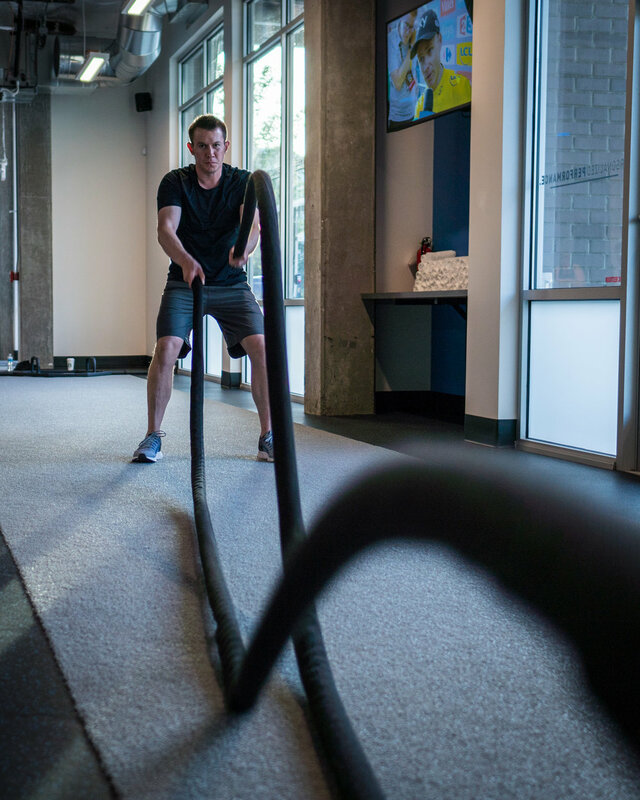 M² Fitness is next-level personal training. We work 1:1 with clients, not 20:1 like group classes. We can also offer 2:1 training because working out with a spouse/friend/coworker adds another layer of accountability and commitment. We can accommodate everyone from novice to competitive athletes, people recovering from injury or medical conditions, or someone simply looking to improve their overall health. Our brand new, state of the art facility offers all the amenities you'd expect from a professional training facility. All equipment is new, modern and performance oriented. Oh yeah, and our locker rooms will make you feel like you're at home or at a spa. It's time to get started. Contact us to set up your free consultation today.